Felix has been with the North Island Landscaping team for over ten years. 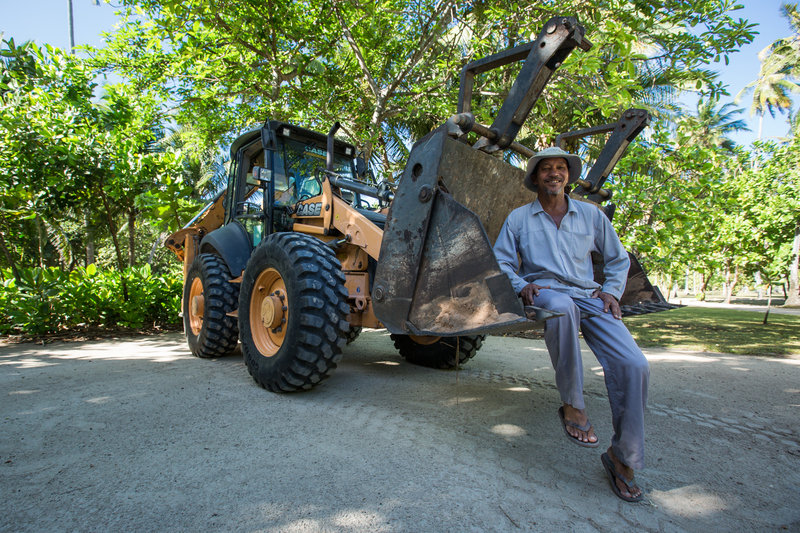 As the resident Tractor and TLB (Tractor-Loader-Backhoe) Operator, Felix fills a pivotal role on the Island. 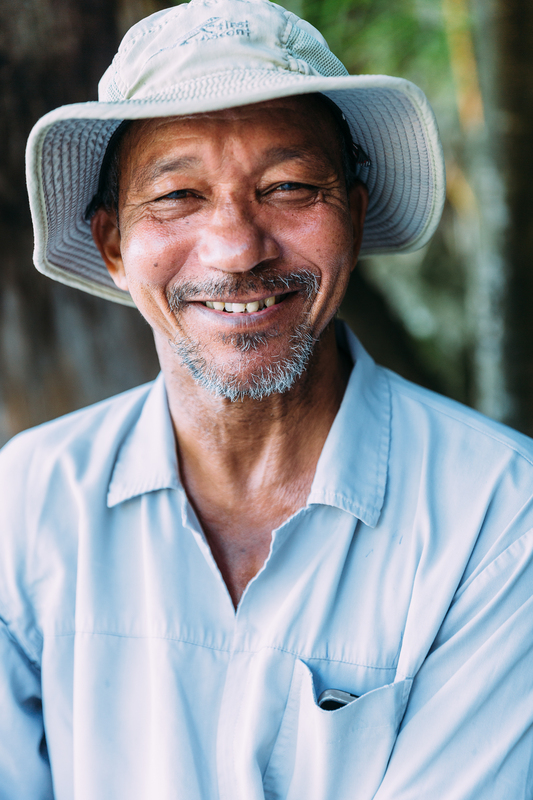 From moving heavy items around the Island to maintaining perfectly pristine island roads – it’s team members like Felix that you don’t often see (or hear) as a guest, but you certainly do feel their presence. Without our Back-of-House staff, we could not achieve the high standards of service and attention to detail; as a team, we craft North Island’s art of hospitality. Every morning before the Island rouses from its slumber, Felix travels each and every road on the Island, clearing and leveling them as well as ensuring they’re always the correct width. By the time you wake up, there’s not a fallen leaf out of place. In the drier months, Felix takes guest service to even greater heights: he lightly sprinkles the villa road with water to prevent dust lifting and settling on your electric Island buggy. Felix has been working in and around TLB’s for 32 years and because of this, his knowledge of the machine is advanced. So much so that when there is a fault, he delivers the TLB along with his diagnosis to Santa, one of our mechanics. The TLB is a versatile machine that facilitates so much of North Island’s daily operations, from on- and off-loading the barge to assisting the Environment Team with vegetation clearing. Felix is often the first person to break ground for new structures on the Island, while preparing the site for construction. A christening of sorts for all the exciting new project sites on the Island. One of Felix’s highlights of his career was when he demolished the old Guest Kitchen with his TLB to make way for a new state-of-the-art kitchen which was built in its place. Felix’s grin was as wide as that of a little boy jumping on a sandcastle. Felix saved the day when a small fire broke out in a Back-of-House area on the Island. Along with the quick actions from his teammates, Felix reacted without a moment’s hesitation and leapt towards his trusty TLB. Fast thinking and with bravery to boot, Felix contained the fire by using his TLB to surround it with sand. Felix now assumes the title bestowed upon him by his colleagues as the ‘Humble Hero’. When asked what he loves about North Island, Felix replies without pause, “It’s a quiet place, but I meet new people all the time – I have a lot of friends now.” According to Felix, what makes the job so enjoyable is that his team has worked together for a very long time, they know each other so well and are good team players. During his time off, Felix enjoys relaxing with his friends and teammates on the Island, or visiting his family on Mahé, his hometown. Just a short boat trip away, he gets to benefit from the best of both worlds.